From Barbies to Clics, a truly incredible variety of children’s toys are available, designed and developed by giant brand names such as Playmobil or Famosa. Some of them are better than others, and some are successful because they have that something special that kids love (or that advertising makes them love). They are not, however, designed by children, and herein lies the fundamental difference. When Canadian Wendy Tao decided to open Child’s Own Studio in 2007, she had no idea that her project would be successful almost to the point of being overwhelming. The truth is, it was a wonderful project! Her idea was to create toys (rag dolls, teddy bears, etc.) 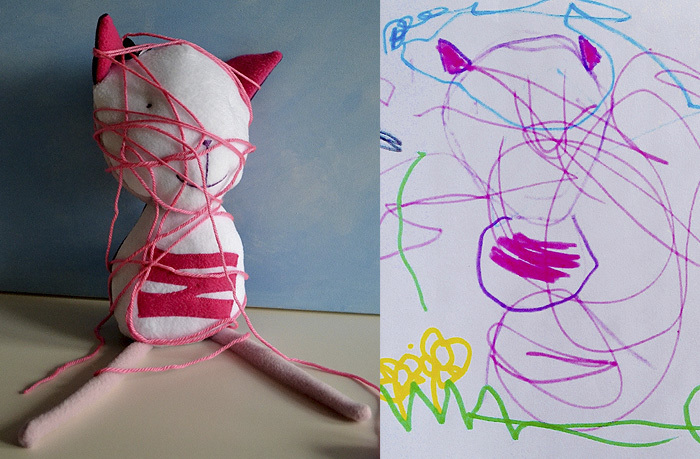 based on children’s drawings, to convert sketches into three dimensional objects. From the very beginning she received such a profusion of orders that last year she had to call a halt to the project as she didn’t have the time for those endless hours of sewing. 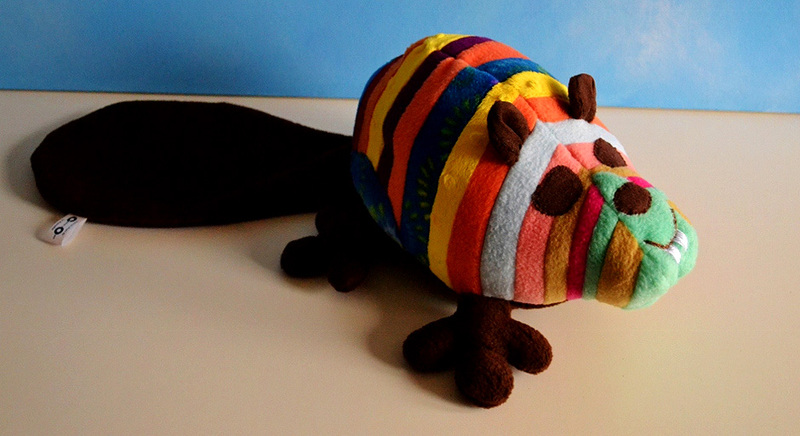 That’s right, everything is handmade and every toy is unique. She recently posted in her blog that she is going to open a waiting list for 2013. By the way, her blog also explains why she does what she does. Wendy yearns for a more civilised world where, instead of guns, toys can be Martians dressed as pirates or dragons wearing bowties, where children can fly and there are monsters with angelic faces. Above all, her desire is to encourage creativity in children and show them the extent to which their imagination can be used to create things. 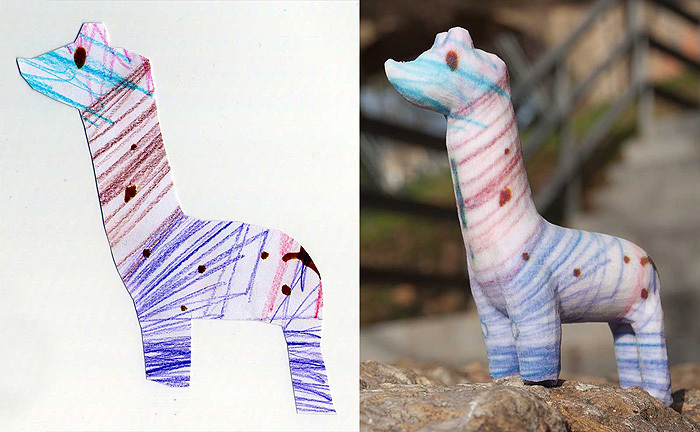 On a slightly more industrial scale we have the Crayon Creatures technique, which uses a 3D printer to materialise the imagination of the children. The results are surprising. 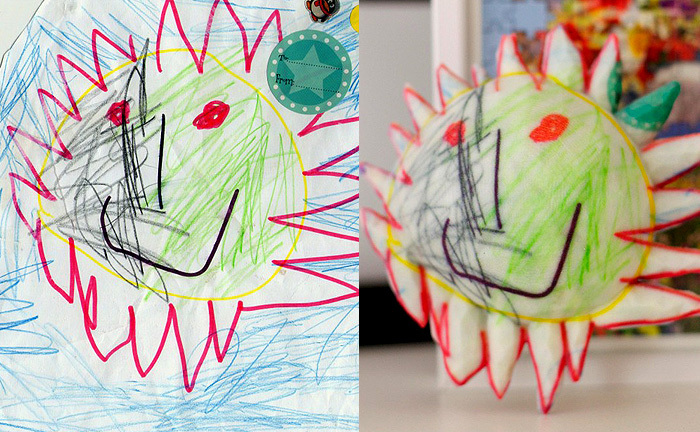 Almost as surprising as the kid’s drawings. 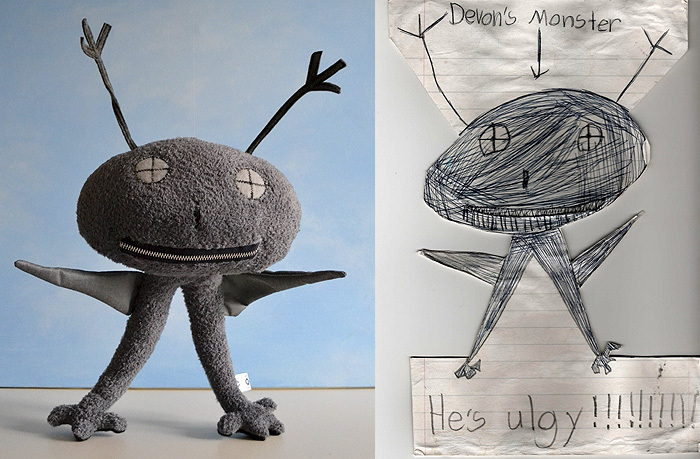 On seeing the photos that Child’s Own Studio has uploaded to Flickr, and the results achieved by Crayon Creatures, we would venture to suggest that they are working to create a whole new generation of designers. 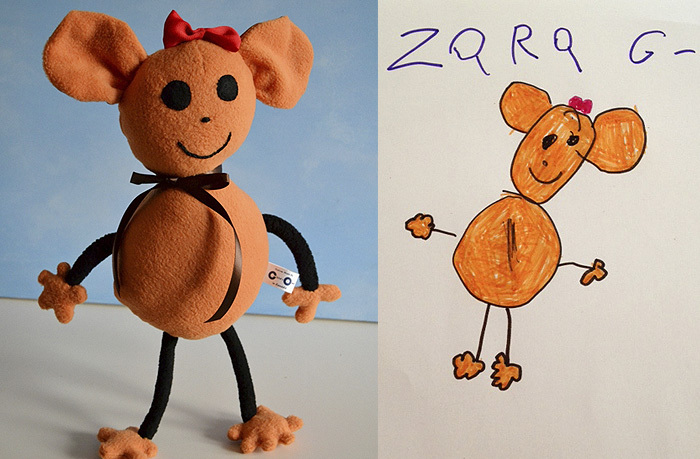 If you had received a gift of a doll, or a puppet, that you yourself had designed, wouldn’t you have wanted to become a designer?